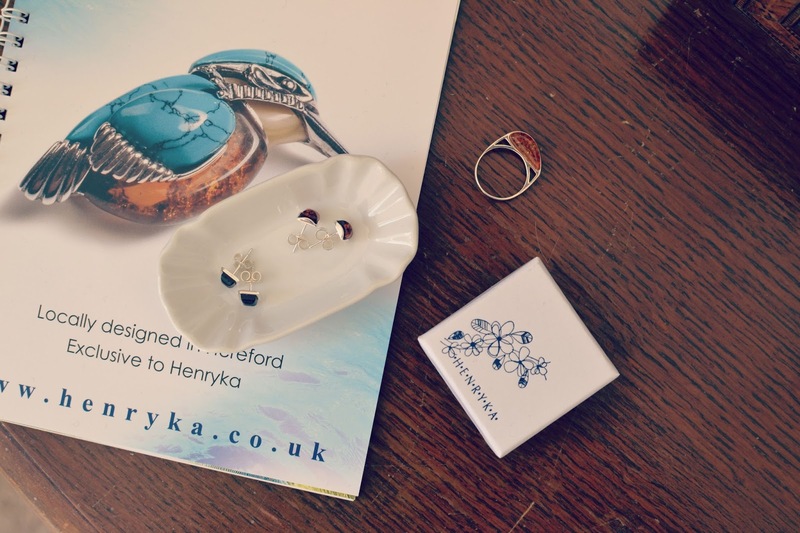 I've posted about Henryka jewellery before on the blog, and I always find something I like when I browse the site. The independent brand keeps getting better and better, and from classic styles to more contemporary, fashion-led pieces, there's always something new to see. Henryka have recently launched a VIP Club, and I wanted to talk about it on the blog as you can benefit from some amazing discounts and offers by joining up! Whether you were looking to buy a gift or treat yourself, as a VIP member you will enjoy 15% discount site-wide every time you shop, as well as lots of other exclusive offers and treats. It's free to join, you just need to create an account. Read more here. In the interests of disclosure, I was given a gift voucher as a birthday gift by the company (so kind!) so I paid for these earrings partially with that and partially with my own money. 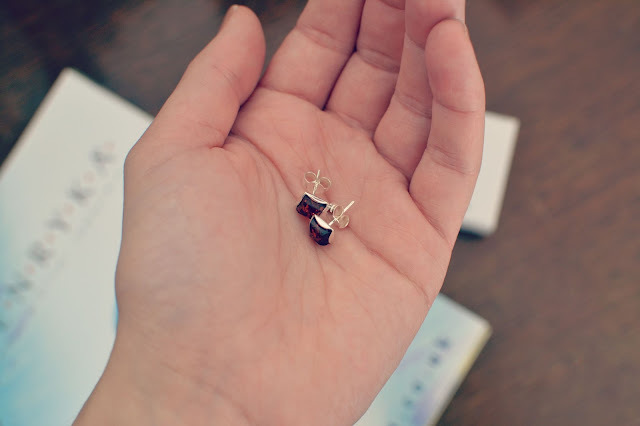 I chose a couple of pairs of simple studs, going for a cherry amber which is a glossy, very dark polished amber with a red undertone, and a cognac amber which is more of the classic amber variation. I love the look and design of these studs which look lovely worn very minimally with little other jewellery. They are statement studs, but not ostentatious and I think they are really very wearable. Check out the full range of jewellery on the Henryka website here which includes necklaces, rings and bracelets as well as earrings!